An African-American OB-GYN says she was discriminated against on a flight when attendants refused to let her help with an in-flight medical emergency. Tamika Cross was a passenger on an early-morning Delta flight from Detroit to Minneapolis on Sunday when a woman two rows in front of her screamed that her husband was unresponsive. Flight attendants made an announcement asking if there were any doctors on board, and Cross says she immediately volunteered to help. What Cross says happened next is what made her go to social media with a post that has been shared more than 43,000 times as of Friday evening. “I raised my hand to grab (the flight attendant’s) attention. She said to me ‘oh no sweetie put ur hand down,'” Cross wrote on Facebook.Cross said the flight attendant told her they were looking for “actual” physicians or nurses. When a second plea for assistance went out, Cross said she went to push her call button and the same flight attendant told her to show her credentials to prove she was a doctor. Cross told CNN she didn’t have any credentials with her. Meanwhile, she said, the man still needed medical attention. In a statement responding to Cross’ story, Delta Air Lines said it is “troubled” by any accusations of discrimination and takes them very seriously. Delta said it has reached out to Cross, talked to crew members and reached out to other passengers. Cross said Delta has left her a couple of messages but she has yet to speak with them. The airline said three medical professionals identified themselves on the flight, but only one was able to produce “documentation of medical training,” and that was the doctor who assisted the passenger. Cross, who lives in Houston, said she doesn’t know why the flight attendant dismissed her. In her Facebook post, she said it could have been because of her race, age, or gender. “I’m a double minority. I’m black and a woman, plus I’m young. I’m not sure which part (she) didn’t like, Cross told CNN. She said she doesn’t want the flight attendant to lose her job, but instead undergo sensitivity training. “People make mistakes. We all make mistakes,” she said. She’s also hoping for an apology from Delta, she said. Cross’ post has sparked outrage among medical professionals from all over the country. 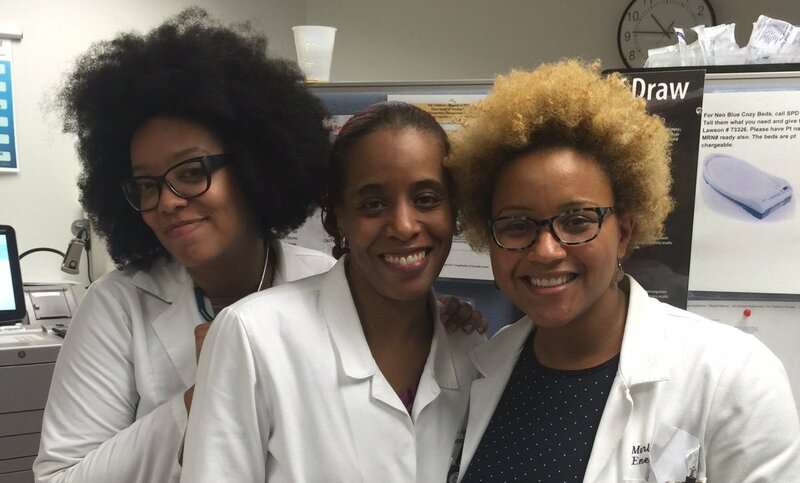 Many have posted selfies on social media with the hashtags #TamikaCross, #WeDoExist and #WhatADoctorLooksLike. “Not an isolated incident. Happens to me & others often. @Delta, fix this,” wrote a Twitter user named Marleny Franco, a doctor in Philadelphia. “@Delta I got MD in ’92 from @JeffersonUniv. We’re not new or a novelty. Sad this is needed. Sadder I’m not surprised. #WhatADoctorLooksLike,” a Twitter user named Dr. Donna Hamilton wrote.